A globetrotter, extraordinary, very friendly and heartwarming person, a world wide famous travel icon, none other than Mr Ian Wright himself. With a resounding success in Invite Mr Wright season 1 with TLC, it’s now Invite Mr Wright 2, the first season of Mr Wright took Ian visiting different countries and culture, enjoying a very interesting and awesome travel experiences that he shared with us faithfully through the eyes of his hosts, their family and friends. Where’s Invite Mr Wright traveling to and what is Ian going to do in the countries that he’s visiting ? In Season 2, Ian is traveling to Australia, Japan, India, Indonesia, Singapore and Vietnam, with each country giving her own distinct and unique travel experiences. During the media event, the guests were given a sneak preview of some photographs taken by Ian during his filming along with his first hands on experiences during the travels! Here’ some snippets for you all, my readers, you have to follow and watch Invite Mr Wright Season 2 on TLC Channel ! 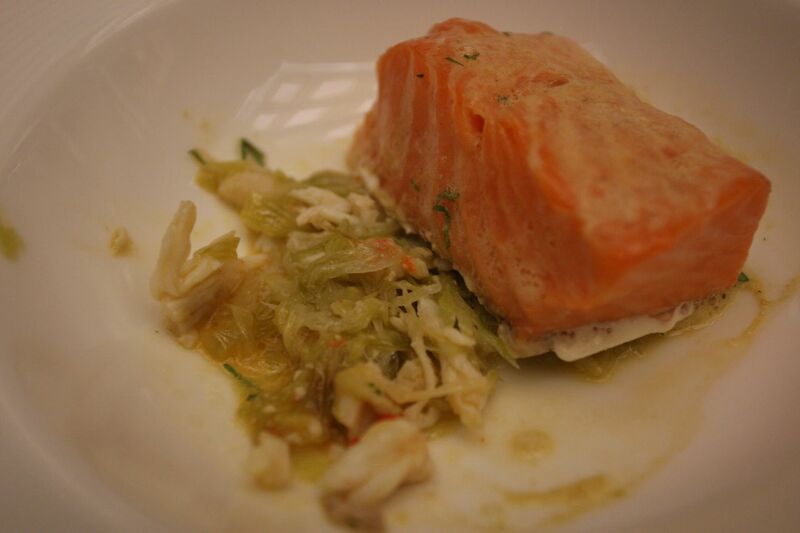 The event was held at Marina Bay Sands, the menu was very special and unique because it was prepared by celebrity chef Justin Quek (who is also part of the Invite Mr Wright 2 travel program – Singapore location), inspired by the iconic extraordinary traveler Ian Wright ! 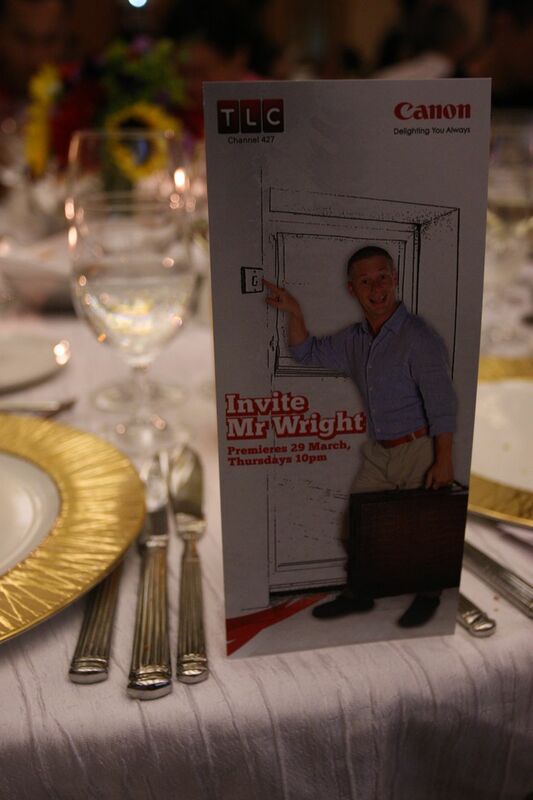 Here’s the Menu prepared by Celebrity Chef Justin Quek, inspired by Ian Wright travels ! The menu was really very delicious and awesome, simply wonderful, love the cooking and presentation, you can feel and taste the inspiration behind the travels, with fusion of different cooking styles from different cultures and countries around the world !! Check out more photos here on my Flickr collection !! Ian was funny and friendly during the event, he wasn’t just introducing and sharing about his Invite Mr Wright 2 travel stories, he was also walking around, mingling with guests and taking photos with the guests (who are also his fans too), chatting and cracking jokes, having a great time there! Invite Mr Wright 2 is coming soon to the channel near you !! Invite Mr Wright (Season 2) will premiere every Thursday at 10pm on TLC, starting March 29, stay tuned and follow Mr Wright for his fun and exciting travel adventures !! 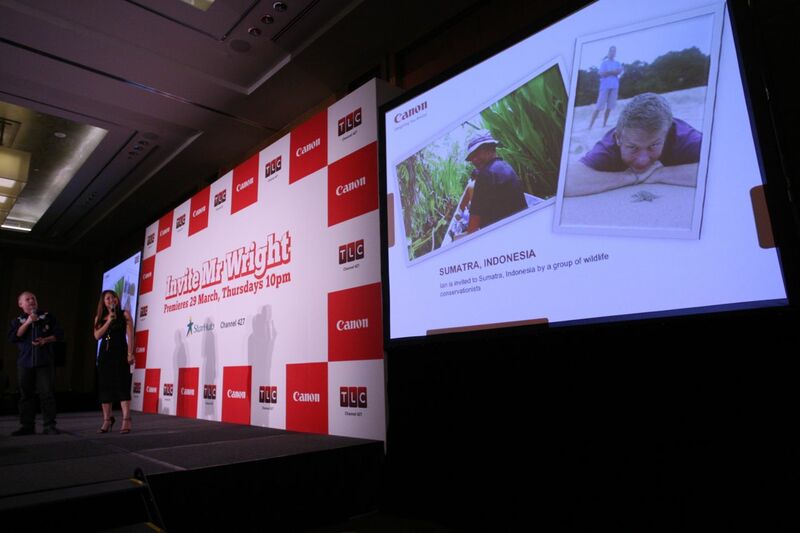 Thanks to Canon Singapore and Ogilvy Public Relations Worldwide, Singapore for the invitation !